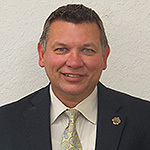 Rod Skirvin was elected President of the Broward County PBA in December, 2018, after serving the previous six years as Vice President. Prior to his law enforcement career, Skirvin received fire and EMT training from the Broward Fire Academy in 1985, and then joined the U.S. Navy in 1986, where he served until 1990. He joined the Coconut Creek Police Department in 1991 and retired as a detective in January of 2018. He began his career with the BCPBA as a representative in 2001, and has been a member since 1993. 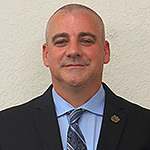 Thomas Tiberio was named Vice President of the Broward County PBA in December of 2018, after serving the previous two years as the organization’s Treasurer. Tiberio, a sergeant with the Miramar Police Department, has been a PBA representative for that department since 2008. He joined the Miramar Police Department in 1995, and was elected to the Miramar Police Pension Board in 2007. He is currently the board’s secretary. Tiberio has been a member of the PBA since 1996. 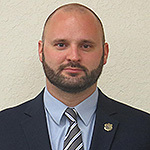 Kevin Loughran was elected Treasurer of the Broward County PBA in December of 2018, after serving as a PBA representative for the Wilton Manors Police Department the previous two years. Loughran is a road patrol officer in Wilton Manors, and has been a member of that department since 2012. He began his law enforcement career as a member of the FAU Police Department two years prior, and has been a member of the PBA since 2010. Meghan Anderson was re-elected to another three-year term as Secretary in December of 2018. 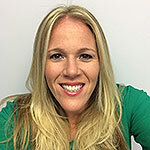 She joined the Broward Sheriff’s Office in 2002 and has been assigned to several of the agency’s districts, including Unincorporated Pompano, the city of Pompano and Dania Beach. She has also worked as a detective in the property crime, robbery and violent crimes divisions, and is currently assigned to Parkland District criminal investigations. She has been a member of the PBA since 2002.